Watches and warnings are in place across parts of the region. The Northeast is about to be impacted by a major winter storm. 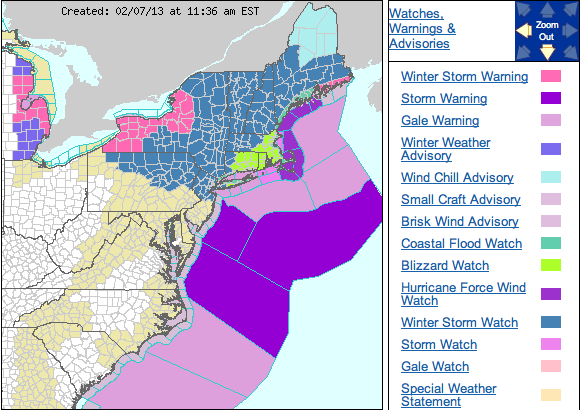 Winter storm watches and warnings, as well as blizzard warnings, have been issued for this Friday into Saturday. The Boston National Weather Service is expecting accumulations of 18-24 inches for their forecast area, which includes Providence, RI and Hartford, CT. This isn’t unheard of, but when was the last time these cities had so much snow in two days? The last time Boston had at least 18 inches was in 2010, the last time more than 20 inches fell was in 2005. Providence hasn’t had 18 or 20 inches over two days since 2005. Hartford on the other hand had 24 inches in a January 2011 snow event. 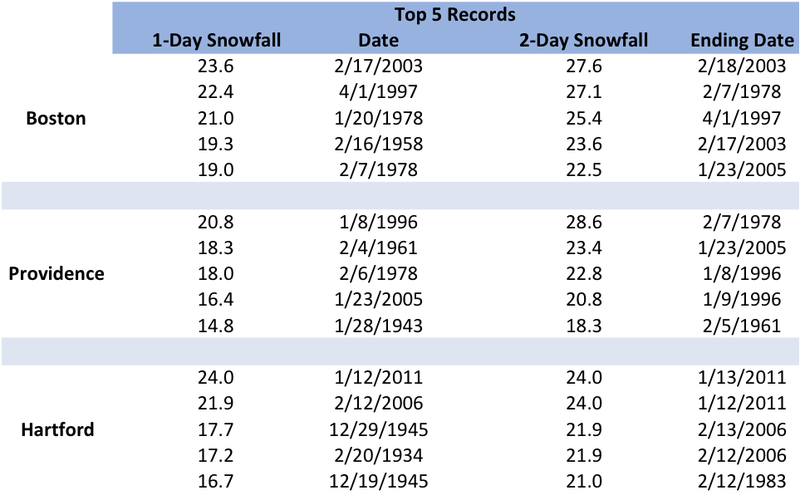 You may also want to check out the current top 5 records for 1-day and 2-day snowfall totals.